What would happen if you pay an after‐hours visit to a museum? Who knows, it might just be like in the Night at the Museum films, where all the figures on display in the museum come alive and have a big, jolly party! 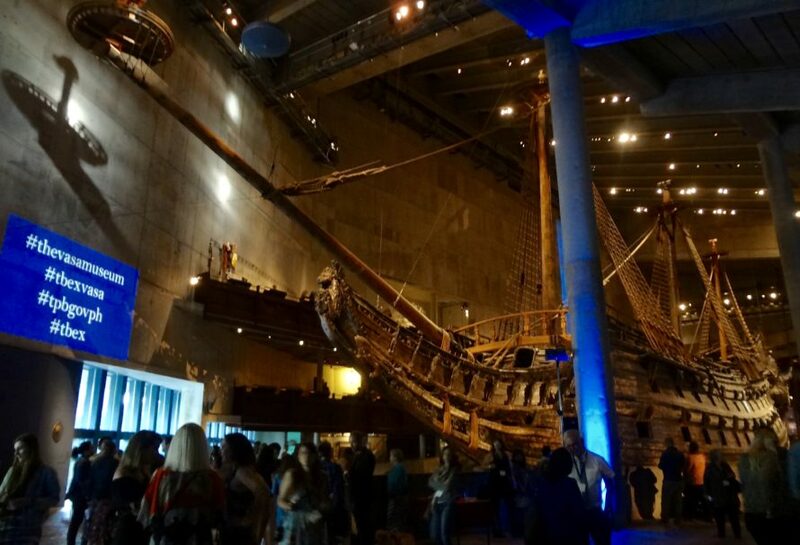 In July 2016, me and fellow Travel Bloggers were about to find out when we were treated to an exclusive evening museum visit at two of the Stockholm's most popular museums: the VASA Museum and the ABBA museum. 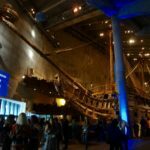 The Vasa Museum houses the only preserved seventeenth‐century ship in the world and is therefore pretty unique! The Swedish King Gustav II Adolf (1594–1632), who by the way was the father of Queen Kristina of Sweden (the protagonist of the film The Girl King) had the Vasa built as a symbol for his power. Sadly though, the Vasa sank on its maiden voyage in 1628 while still within the harbors of Stockholm. It took 333 years until the ship was salvaged in 1961 and consequently restored to its former glory. 2. What's there to see? The ship is much bigger than it looks on photos, so you will most likely be amazed when you first enter the museum. I certainly was! In the museum, you can see the ship from all different sides and angles: from the ground floor as well as from several upper levels. 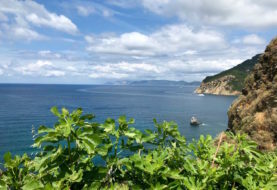 Plus, there are a number of different exhibition areas – about the ship, the times in which it was built (17th century), the tragic sinking and the rediscovery in the 1960s. The introductory film in the museum's cinema is a good starting point to get an overview of everything there is to know about the Vasa. Due to lack of time I only caught a small glimpse into the exhibitions. The Vasa really made an impression on me though and I definitely have to come back for more. Entry to the museum is normally 130 SEK for an adult. Save this by getting a Stockholm Pass, which already includes the entry price for the Vasa Museum. The easiest way to the to the island of Djurgården is by tram number 7 from Stockholm's main station, which takes 10 min max. You'll find the tram stop if you walk straight on from Stockhom's Central Station behind you and you pass by the Stockholm Visitor Centre on your right. From the Vasa Museum, it's only a short walk to the ABBA museum, which hosted our second museum party for the night. On a lush summer evening when the sun only sets around 10.30 pm, this is a very beautiful walk indeed. Aside from children's book author Astrid Lindgren, the four musicians of ABBA are probably the best known Swedes worldwide! After winning the Eurovision Song Contest in 1974 with their smash hit "Waterloo", the two, formerly married couples Björn & Agnetha and Benny & Anni‐Frid, went on to become the most successful act in the history of popular music! Quite an achievement, isn't it? The band decided to call it quits in 1982. But luckily for ABBA fans worldwide, their music lives on in the musical Mamma Mia! (in London's West End as well as several other cities worldwide), the musical film Mamma Mia! (2008) with Meryl Streep and of course, the ABBA museum in Stockholm, which opened its doors in 2013! ABBA The Museum will tell you all about the personalities behind the band's members, their music and their time. There are also many fun, interactive activities such as the "5th member" 3D illusion, where visitors can perform on stage with the four members of ABBA. The Pop House also has two permanent and one temporary exhibition on show. The two permanent ones – the History of Swedish Popular Music and the Swedish Music Hall of Fame – let you discover how many of the world's biggest pop artists came from Sweden. Did you know, for example, that the band Europe, who landed a big international hit with "The Final Countdown" in 1986, was made up of five long‐haired Swedish dudes? Meanwhile, the current temporary exception "GOOD EVENING EUROPE!" will transport you straight into the colourful world of the Eurovision Song Contest and 60 years of spectacular, but also shocking and hilarious performances as well as the pop world's most outrageous costumes! Sweden has actually done quite well in the contest! With with a total of six victories, it was only surpassed by Ireland, who won a seven times in total. Sweden's most recent wins were Måns Zelmerlöw with his smash hit "Heros" in 2015 and Loreen with "Euphoria" in 2012. You can see the outfits that both artists wore as well as videos of their cool stage performances right at the beginning of the exhibition. Normally an adult ticket will set you back 195 SEK, but therefore all four exhibitions are already included. When presenting your Stockholm Pass, you get 20% off the admission plus a free audioguide. 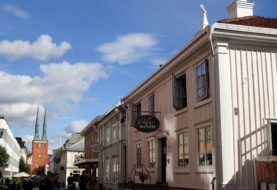 As mentioned earlier, if you visit any of the other museums nearby just as the Nordisk Museum or the Vasa museum, you can just walk to ABBA. Otherwise, catch the tram No. 7 from Stockholm's main station. Or, if you happen to have the necessary spare cash at hand, you can stay in the Pop House Hotel, where they even recreated a Mamma Mia! inspired Greek island room! And if you just can't get enough of being the dancing queen, there is even an option to book a party package for a ABBA dance show which includes accommodation at the Pop House Hotel, a ticket to the museum and exhibitons, a breakfast buffet, WIFI, dinner and of course THE PARTY! With so much full‐on happy mood ABBA power, there is only one thing left to say… Mamma, Mia! Over to you: What are your best Night at the Museum experiences? Let me know in the comments below! 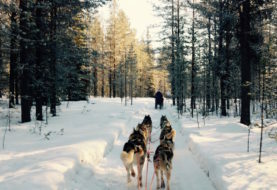 Disclosure: As part of my participation at the TBEX Europe Travel Blogger Conference in Stockholm, I received free entry to the attractions mentioned in this post. The views expressed in this blog post, however, are entirely my own and therefore personal and unbiased.